This wig is based on the ancient and traditional styling of a Chinese man. It has a cloth bald front and a long pigtail in the back. 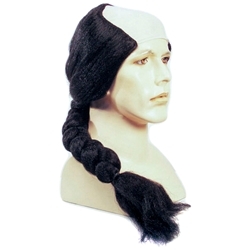 This wig is excellent for a host of theatrical productions such as Anything Goes.